Metro Exodus is the latest game in the growing Metro franchise. Metro Exodus improves on a lot compared to past games, but I can’t help but feel like they missed the mark with this one. Metro is growing as a franchise, but there is still a lot of improvements needed before this franchise can stand head to head with the big boys. Still, it is nice to see this franchise continue to have steady growth and I am looking forward to the next Metro game if there will be one. The visuals in Metro Exodus are quite strange. The game is a looker — no doubt about that. The environments are gorgeous, and the environments in this game are some of the best of this generation. I can say with confidence that 4A games have pushed the industry forward with the drop-dead amazing environments in Metro Exodus. That said everything else leaves a lot to be desired. 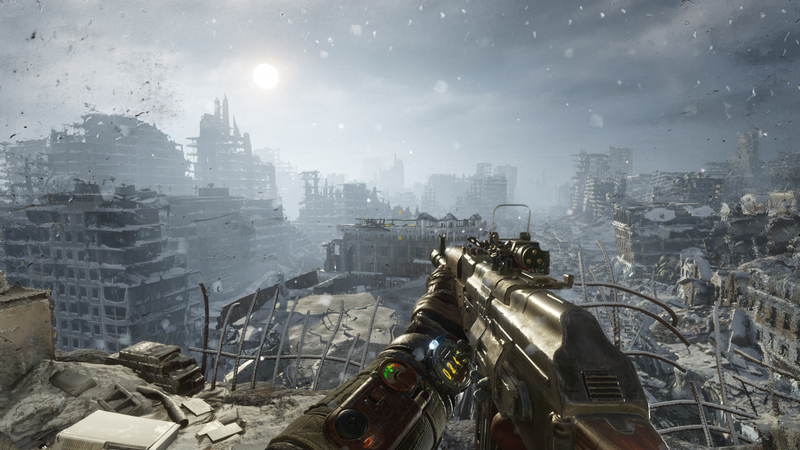 The environments alone make Metro Exodus a beautiful game but as a full package Metro Exodus is not at the top of the mountain when it comes to visuals. I say because the character models, facial animation and sound design leave a lot to be desired. The facial animations in Metro Exodus were quite terrible, and I don’t understand what they were going for with the sound design. The grunts were uncanny and often too loud, the UI sounds were odd – all of this automatically prevent Metro Exodus from being at the top of the food chain when it comes to presentation, and it’s a shame because the environments are unbelievable. 4A games, please work on your sound design in the next Metro game! Metro Exodus for me was a pretty game with no substance and was very unenjoyable to play. When I play first-person shooters, I expect them to be soothing and playable. Metro Exodus was another Red Dead Redemption 2 for me. Pretty visual but terrible controls and gameplay. As I said before Metro still needs to improve in a lot of areas before it can compete with the big boys. The controls in Metro Exodus were disappointing, and it was an absolute struggle playing this game. At a point, I was considering stopping my playthrough and never reviewing this one, but I dragged myself into playing through the game. The gunplay was extraordinarily unsatisfying, and the messy sound design and controls are huge contributors. The gameplay in Metro Exodus is a complete disappointment when compared to other first-person shooters this generation. On top of that Metro, Exodus suffers from nightmarish framerate drops and monstrous bugs and again these little things ruin the experience entirely. Metro Exodus as a whole was a technical mess. Still, 4A games must work on this and must release there next Metro game in a good state. A game being plastered with bugs and framerate drops can really destroy a game and make people ignore the good things. I really enjoyed the plot in this game. That said I also enjoyed the plot in the last Metro games too. When it comes to writing the team can make really admirable stores. The characters were likeable, the gang was great, and it was just a nice ride overall.